It's one thing to witness a wedding day as a photographer, but it's really special and a privilege actually to hear my clients talk about their wedding day, looking back at their image collection, and what certain photographs means to them. Last summer I was invited to photograph an Ottawa wedding at the Fairmont Chateau Laurier, and it was a gorgeous day. Through heavy rain and sketchy weather I tried my best to keep the mood upbeat, but truly I didn't have to try to hard because Jenna and Karl weren't even a bit upset with the wet weather and danced through every bit of it. 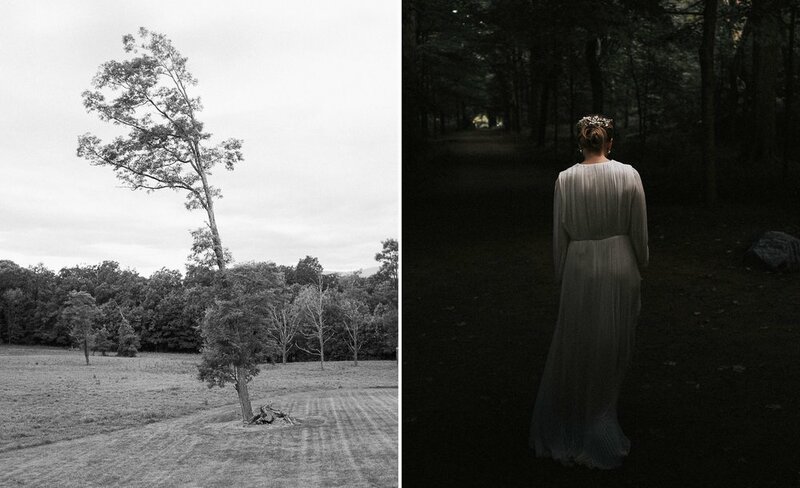 I'm super happy to share a chat Jenna and I had about her wedding day experience, and talk about the images that are the most meaningful to her, and even more importantly, why those images stand out. "When we look back at our photographs, this photo stands out to us the most. This photo captures the very first moments of our marriage and captures our glow in that moment. Whenever we look at this photo it takes us back to the small church and the beautiful hymn that was playing as our maid of honour and best man witnessed our marriage. We remember feeling pure joy at the thought of finally being able to start our journey together." "This photo reminds us of why a wedding is so special besides the obvious reasons. 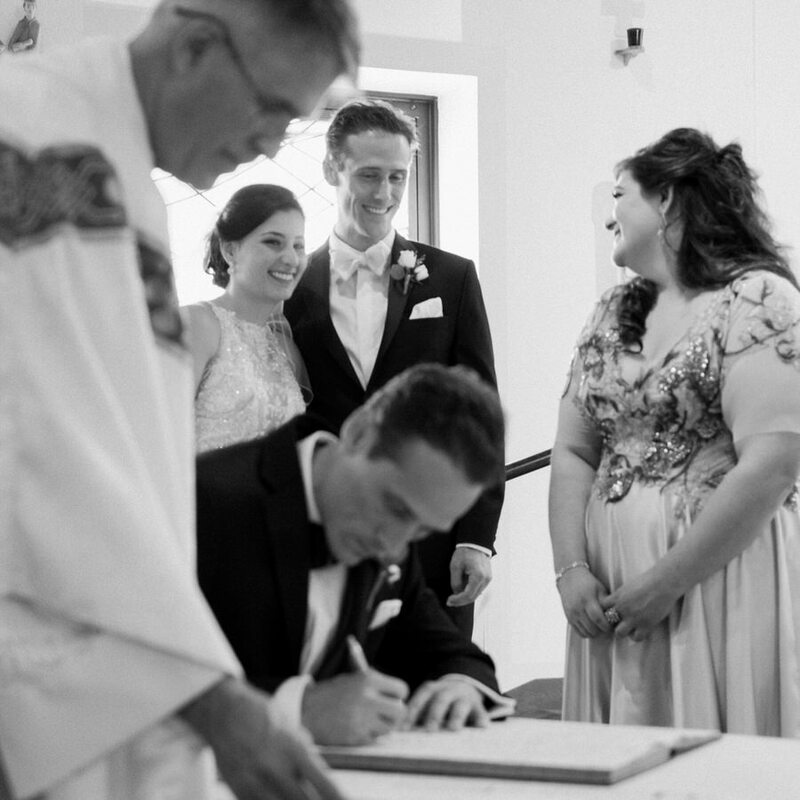 It captures the genuine reactions of our family and friends coming together for us and to witness our love. All of the people in this photo shaped our relationship in one way, shape, or form and we could not have gotten married without them. It is a beautiful candid photo of all of our loved ones." "Micheal was definitely the cause of this photo! We were very camera shy during the bride and groom portraits but he helped us relax and be ourselves. Here, Micheal got Karl to whisper sweet nothings in my ear and all I could do was laugh! It was such a memorable moment that I can still remember what Karl whispered and probably will never forget." "These pictures depict our relationship perfectly. Karl and I are always laughing and goofing off and Micheal captured many photographs with us just being our genuine selves. When we look back at these photos, it reminds us to keep laughing like we did on our wedding day no matter what comes our way. " It was fantastic to hear Jenna's thoughts about these images and portraits with her handsome man Karl, how she remembers each moment, and why these photographs have become her favourites. It's also a reminder that a single photograph is still very powerful, each one has the ability to transport us right back to special times and experiences, recent or far, and remind us of what's truly important in our lives. Thank you Jenna and Karl ~ it was total magic working with you. Just a few images from a really special day watching Stacy and Edd tie the knot recently. The Montreal Courthouse was the location for their wedding ceremony, which is a place I hadn't been to since my own wedding there several years earlier. Being there brought back a lot of good memories, and I was happy to know this would also be a very special place for Stacy and Edd. After we made hilarious guest portraits and witnessed the depth of Montreal traffic delays everyone came back together for phase two of the day. Family and friends were invited to the fantastically hip Cardinal Tea Room on St. Laurent, for dinner and a dance party. Sadly I wasn't there to catch all that, but by judging the playlist Stacy had expertly put together I knew the rest of the evening would be next level. It was a pleasure, all the best to you both ~ Cheers Stacy & Edd. A dreamy waterside wedding in Baie-d'Urfe at the Fritz Farm Montreal, with Anna & Alain. 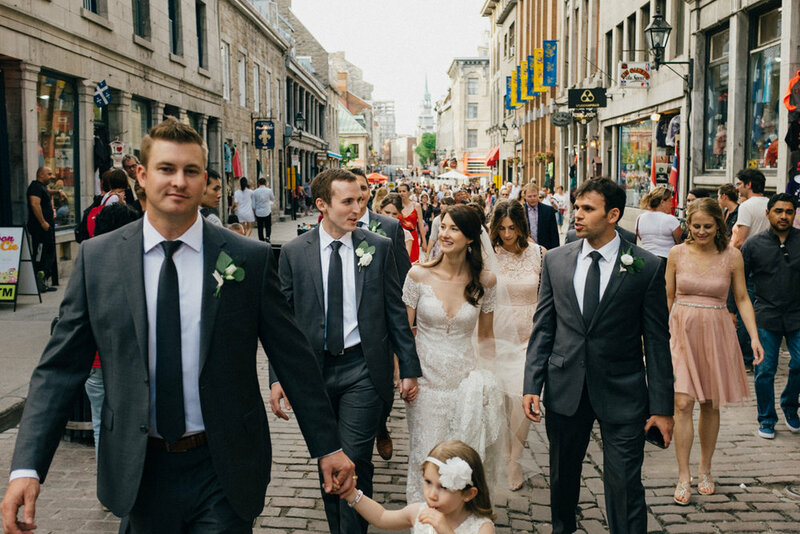 Walking through the charming, open gardens of Le Château Ramezay was a dream that afternoon for me, Cristina and Christopher, and their guests, who travelled far to celebrate their intimate destination wedding in Old Montreal. Without a doubt Cristina's Watter's wedding dress was admired and stole the show. 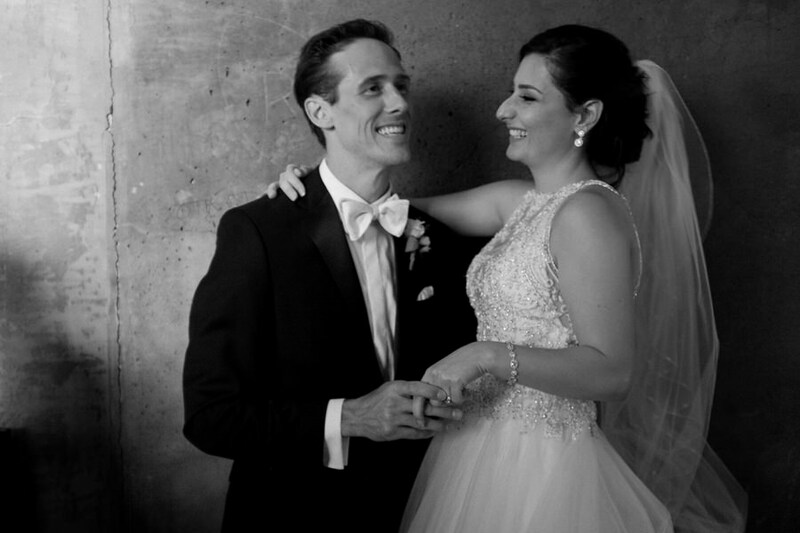 A few words from Cristina, "when we were looking for a wedding photographer, we wanted someone who would capture the intimate and romantic feel of our wedding and we are so happy that we chose Micheal. Not only was he able to capture the big moments of the day, but he also managed to capture the emotion behind the moments. There was so much love and joy, and this comes through so clearly in our image collection. This is true not only in the photos of my husband and I but in the photos of our guests. I think that any good photographer can capture the love between a couple on their wedding day, but being able to capture these raw emotions in the guests is much rarer. These are moments that the couple misses on their wedding day and I am so happy that they were captured for me. The candid photos of my parents and my husband's grandmother are some of my favourite photos from that day. I cannot thank Micheal enough for these amazing gifts." It was a beautiful night. A huge thank you to Maxine for the excellent design and planning which made that day amazing for everyone, myself included. 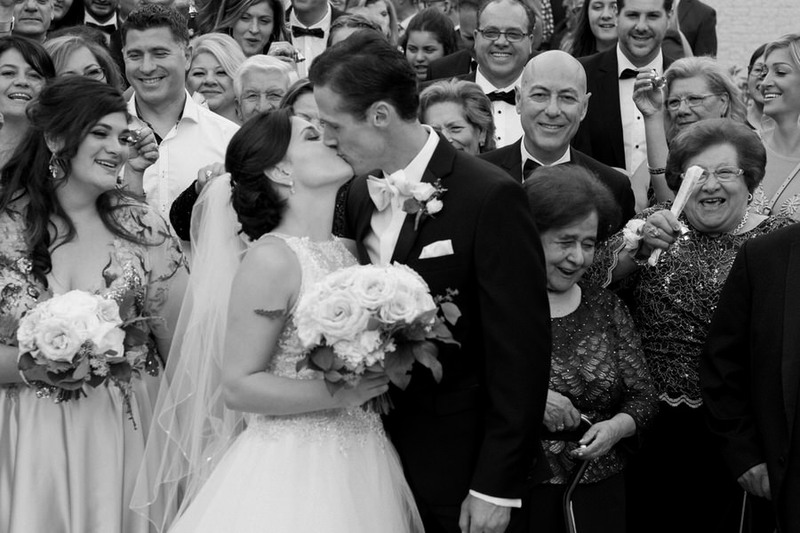 If you are planning a Montreal destination wedding be sure to follow the links below and connect with some of the best people in town for your wedding day. Ceremony - Château Ramezay, Catering - Les Demoiselle, Planning and flowers -A Gorgeous Fête, Music - Exclusive Event, Ceremony Venue - Vieux-Port Steakhouse, Make Up - Charlotte Marie Flanner.